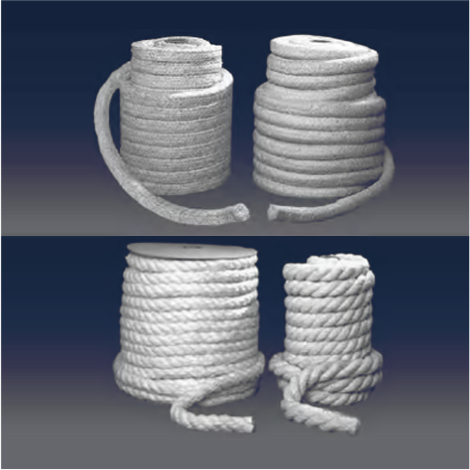 MaxRope & MaxBraid are a family of textile products used for industrial applications up to 2300°F (1260°C). These materials can be used for gasketing, packing and sealing in and around high temperature heating equipment. Produced from ceramic fibers, these products exhibit excellent resistance to corrosive agents. Exceptions are hydrofluoric acid, phosphoric acid and alkalines. If the product is moistened by water or steam, the thermal properties are completely restored after drying.